When you submit your Sheetz application, you are giving your career the chance to develop and grow at the same pace as this energetic and much-loved company. Delivering service and quality to local consumers for over 60 years, the company has grown into one of the most well-known and respected brands in local communities throughout the United States. The services provided by this company have developed significantly since first founded by Bob Sheetz in 1952. As the company began to rapidly expand from a small grocery chain, gasoline pumps were introduced – soon after becoming self service. The same family still owns and operates the chain with values of community and service that it was founded upon. The company is regularly voted as one of the most desirable places to work in the United states, partly due to the wealth of benefits on offer but mainly due to the laid-back atmosphere and working experience. Employees are actively encouraged to develop and progress their talents, emphasized by commitments to tuition assistance programs. Sheetz is a privately owned concern, employing over 14,500 employees in over 435 locations across the US. The current Chairman of the Board of Stan Sheetz, who is the son of founder, Bob. A career in one of the company’s many stores or restaurants is an opportunity to work positively with the community you serve, developing your own talents along the way. Applications are regularly taken from enthusiastic and creative individuals looking to make their way in the fast-paced food retail industry. Sheetz Corporate division is the hub for all operations, marketing and support activities for the company. The job positions here vary significantly and are usually quite specialized. These include positions in IT and Facility Support, Quality Assurance and Human Resources. Although some management positions and other specialized roles might require that you are 18 years old, the minimum age for working at this company is 16 years. The company often receives great internal reviews from present and past employees, enjoying average pay which within the top 10% of retailers in the US. Other benefits include paid training and educational assistance so that younger employees can further their studies. Future planning is assisted by matched 4019(k) retirement plan contributions. Regular business hours are 24 hours a day, 7 days a week. 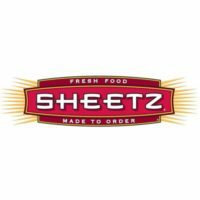 Employees work to flexible shift patterns, so applicants will need to state their anticipated availability when they submit their Sheetz application. Sales Associate – You’ll be working for customers directly, manning registers, replenishing stock and providing helpful assistance where required. You will play a front-line role in maintaining the customer store-experience. Hourly wage starts at around $9 to $10 per hour. Shift Supervisor – You are able to delegate, coach and accept responsibility for the performance of the shift you are leading. You will need to be self-motivated, and expect associates to depend on your for guidance. Pay starts at around $11 to $12 per hour. Assistant Store Manager – The right hand of the Store Manager, in whose absence you will need to assume or operational responsibilities. You will play a pivotal role in promoting the Customer First Culture in stores, and ensuring that company procedures and policies are followed. Annual salary is usually around $35k per annum. Store Manager – You will lead the day-to-day operation of your store, accepting accountability for profit and loss with a focus on maximizing sales potential by employing the company’s policies and principles. You will develop and effective and functional workforce, capable of providing excellent service and establishing positive relationships with the local community. Expected salary can be anywhere between $35k and $75k per annum, depending on store size and performance. What do you think is the most relevant experience you possess? This company is all about providing total customer focus. Your answer should involve the use of excellent customer service skills and an explanation on why this is important to the business. What do you know about Sheetz core values? Your research is definitely being tested here. There is plenty of information about the company’s commitment to the customer experience and working in the community, on the company website. Be sure to check this out when you apply online. Can you describe a time when you have shown leadership qualities? Maybe you’ve worked in a similar role before, or perhaps you’ve needed to step up to the plate when nobody else could. Talk about a time you’ve resolved a dispute, or formed a team to conquer a challenge. Why do you think a community presence is important? The company puts great emphasis on its reputation in the community. This is an important tool in being respected and loved by locals. Employees are encouraged to promote this, so you should do some prior research into the company’s various activities in the community. What sets you apart from other candidates? Be confident and sell yourself. Talk about how your personal values mirror those of the business. Mention your drive for progress, both on a personal and professional level. The many job opportunities frequently available are listed on the Sheetz careers website. You must apply for sheetz jobs online – there is no ‘download application form’ option to generate a printable application form. Use the link to the Sheetz jobs webpage below to find more on how to apply for Sheetz online. Your online application must be filled out completely and clearly. Make sure that you have read and fully understand the job description and hiring criteria before you apply for jobs at Sheetz. This direct application for employment will likely be received by your prospective manager, who will want to impress. Know your resume backwards and ensure you can demonstrate any experience you have listed on your free application. Remember that without a pintable application for Sheetz, you won’t have these notes to hand. Dress smart casual, and be polite and professional in answering questions – not forgetting to thank your interviewer for his or her time. Interviews for entry-level store positions are generally informal. The main aim of the hiring manager is to ascertain that you fit in with the ethos of the company, as most training is provided upon appointment. You may receive a short phone conversation following your application, and job offers are frequently made at the interview, if successful.